If you want to make a statement in the crowd, then you better go for this awesome trend called crop top over a shirt/top/blouse. I am totally in love with this awesome trend! Step out of your comfort zone and try on something risky, bold and chic! I've included this amazing compilation of street style images where we see various bloggers, celebrities, style editors and street style stars who appear wearing awesome crop sweaters and tops atop their everyday essentials. If it's still quite cold outside, but you can't wait to take out a crop top from your wardrobe, then you better combine it with your long shirts, darling. Here we see a white crop crochet sweater worn atop white shirt and styled with brocade black-white pants. Let the crop top be worn all winter long by layering it over long-sleeve blouses. I love to see ladies wearing those cropped styles atop their round-neck sweaters. Make a real update by teaming your athletic inspired crop with business shirt for an unexpected voguish twist! The layered looks is a real fashion statement that makes any girl or woman to stand out from the crowd. This crop tops/sweaters/pullovers are real must-haves that can be worn by ANY shaped woman if they are teamed with your long shirts. That's a perfect idea for you to try! Keep it monochrome and go for a black long-sleeve crop pullover worn atop white semi-sheer blouse that is teamed with a checkered black-white skirt. How about some athletic inspired touches? We see a V-neck sleeveless crop-top worn atop light blue long-sleeve shirt and paired with white trousers. Go for a cool smart-casual outfit. 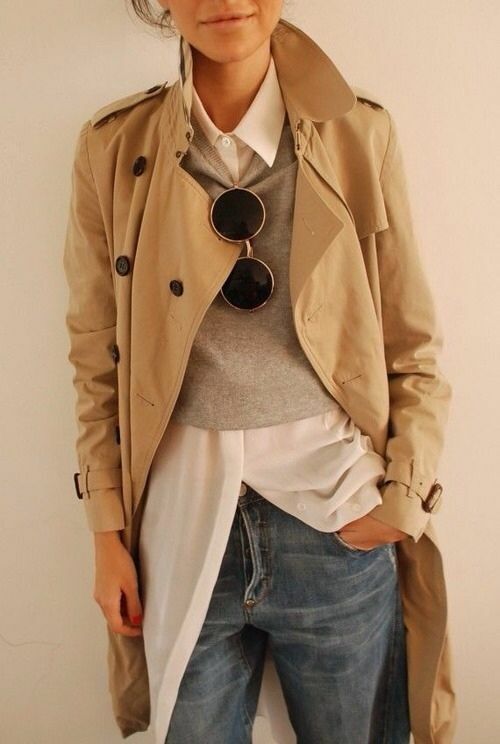 We see a beige trench worn atop light grey crop pullover that is teamed with elongated white shirt and cool denim boyfriends. Keep it trendy and ladylike. 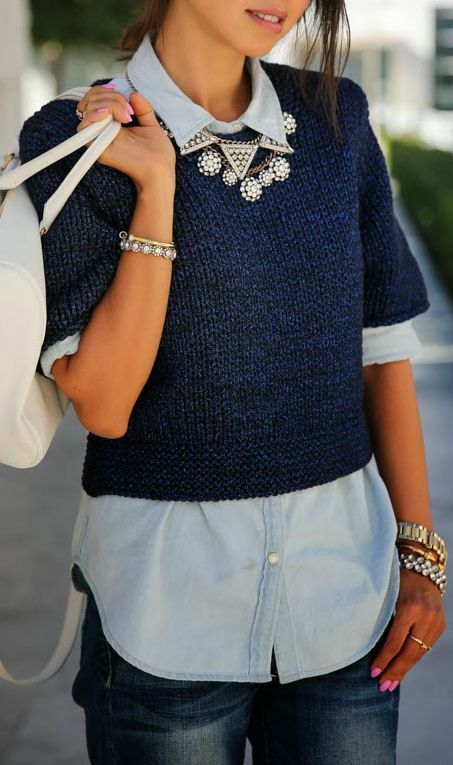 Go for a navy knit short-sleeve crop sweater worn with chambray shirt and updated with chic neckpiece. How about combining white tops with black leather leggings. Go for ultra short knitted pullover worn atop black top and teamed with ripped slim-fit jeans.